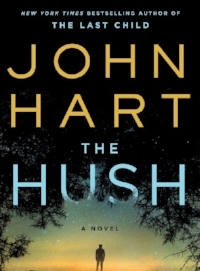 John Hart is the author of six New York Times bestsellers: The Hush, The King of Lies, Down River, The Last Child, Iron Horse, and Redemption Road. The only author in history to win the best novel Edgar Award for consecutive novels, John has also won the Barry Award, the Southern Independent Bookseller's Award for Fiction, the Ian Fleming Steel Dagger Award, the Southern Book Prize and the North Carolina Award for Literature. His novels have been translated into thirty languages and can be found in over seventy countries. A former defense attorney and stockbroker, John spends his time in North Carolina and Virginia, where he writes full-time. John Hart signs his bestseller The Hush for South Main Book Company fans. Kristy Woodson Harvey grew up in Salisbury, NC. Kristy Woodson Harvey is the national bestselling author of Dear Carolina (2015), Lies and Other Acts of Love (2016), Slightly South of Simple (2017), and The Secret to Southern Charm (2018). Dear Carolina was long-listed for the Pat Conroy Southern Book Prize, has been optioned for film and has appeared on numerous “must-read” lists. Lies and Other Acts of Love was a Romantic Times top pick, a Southern Booksellers Okra Pick and a finalist for the Southern Book Prize. Slightly South of Simple was a Southern Bestseller, a Barnes & Noble Bestseller, one of PopSugar’s picks for “Ultimate Summer Reading” and one of Glitter Guide’s “Must-Reads for April” and has been nominated for the Southern Book Prize. Her fifth novel will be released in May 2019, and Kristy will be at South Main Book Company for a signing on May 11, 2019.